When I first met Miss A, she was crawling under the bleachers at my sons football game. Her adorable character and gorgeous eyes immediately made an impression on me. 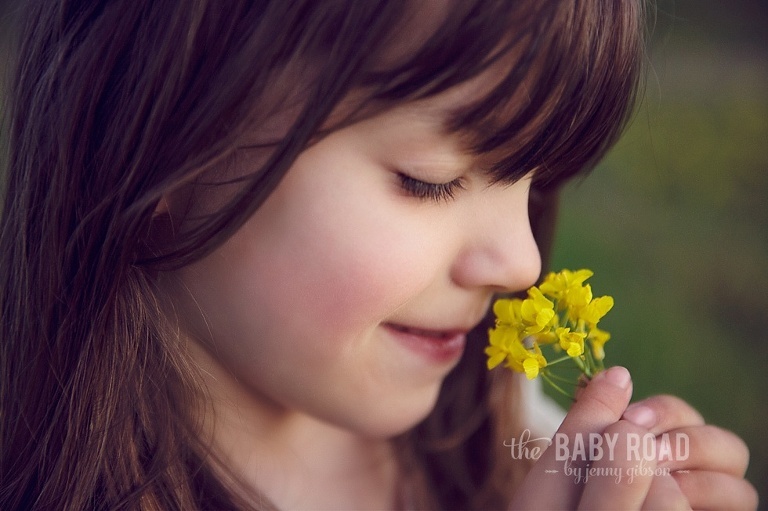 Her love of flowers and playing outside drove us to a nearby farm for an outdoor Child Photography Session. This little girl had the sweetest smile and brightest blue eyes! It was a rare occasion to see sweet A without a bouquet of handpick flowers and I wanted to make sure we captured that during her session. She was so excited to take photos with me, but just as with most kids, she quickly tired of being photographed! So I suggested she might play in the puddles and she loved it! I love to portray the imaginations of little girls- she danced in the blossoms of the orchard and the world was immediately transformed into a fairytale! I couldn’t get over how precious she looked amongst the mustard flowers; a true flower child! Did you enjoy what you saw? 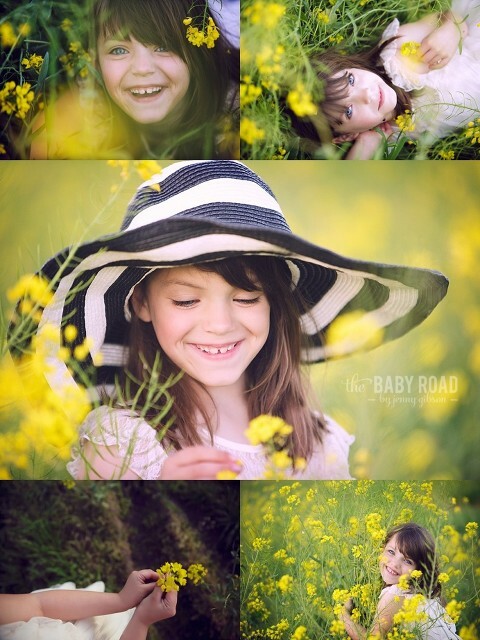 Take a look at our Children’s Gallery to see more of Jenny’s child portraiture. Then contact Jenny to schedule your session early so you will be sure to secure a spot with The Baby Road. Passionate about life, love and beauty…. 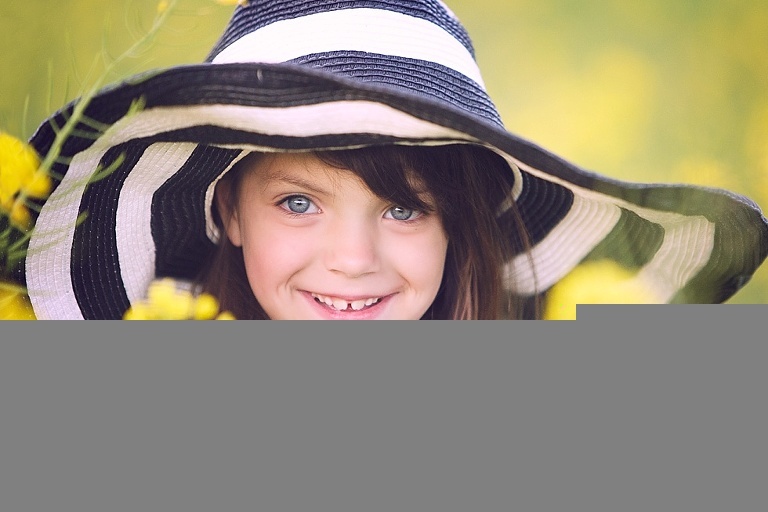 I am committed to providing you with high quality stunning portraits of your children! If you value photography that authentically portrays your child’s personality, you’ve come to the right place! © 2019 The Baby Road by Jenny Gibson-Roseburg Oregon Newborn Maternity and Child Photographer|ProPhoto Website|Design by Northfolk & Co.